Bollywood's leading lady Deepika who has hit the mark of 25 M followers has twin reasons to celebrate. 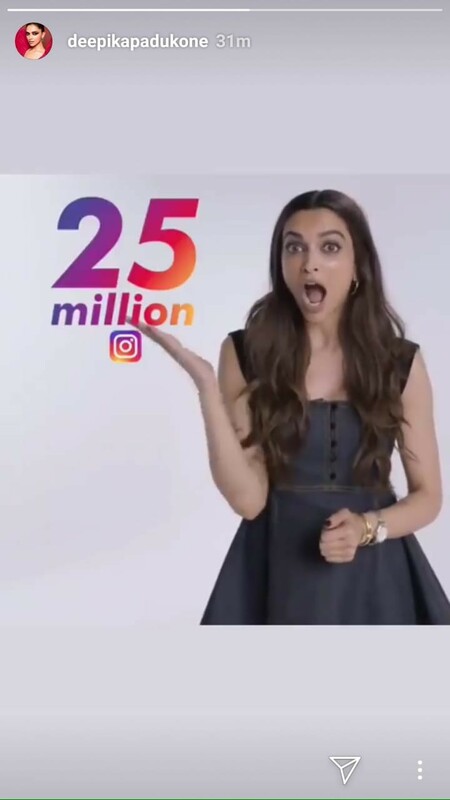 Earlier this morning, Deepika took to her Instagram sharing the news of her extended Instagram family with 25 M followers. Coincidently, this day also happens to be Ranveer's birthday which gives the actress another reason to rejoice. Both the actors are known for their sizzling chemistry and are loved for their film like Ram Leela, Bajirao Mastani and the latest being magnum opus Padmaavat. Going by the significance of today's date and occasion, the actors have double celebrations on their card. After the much speculated Bollywood weddings of Anushka Sharma-Virat Kohli and Sonam Kapoor-Anand Ahuja, all eyes are on the rumoured couple Deepika Padukone and Ranveer Singh. 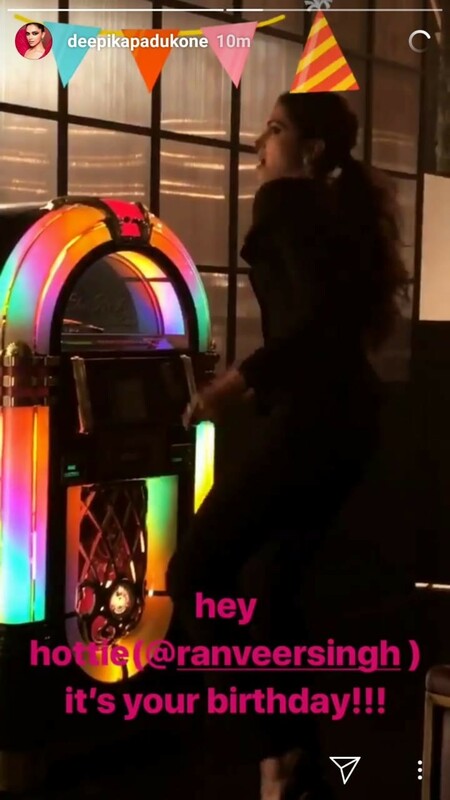 While rumour mill is abuzz with talks of their impending wedding this year, both the actors were seen bonding with each other’s family on the social media.